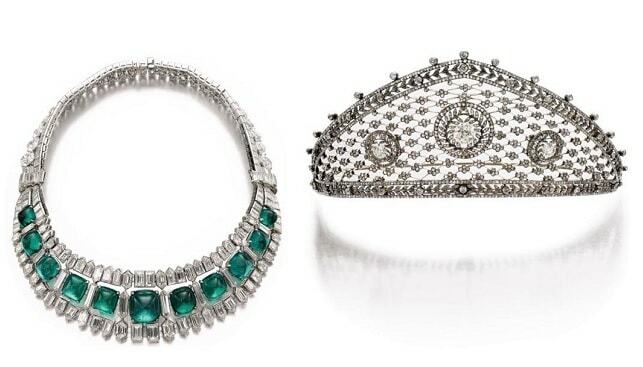 This May 14 in Geneva, Sotheby’s will offer for sale two masterpiece from what it calls “key periods in the history of jewellery”: one – a 1930s emerald and diamond necklace with a dashing history; and the second is a diamond tiara attributed to Fabergé, created for a Prussian princess in 1903. 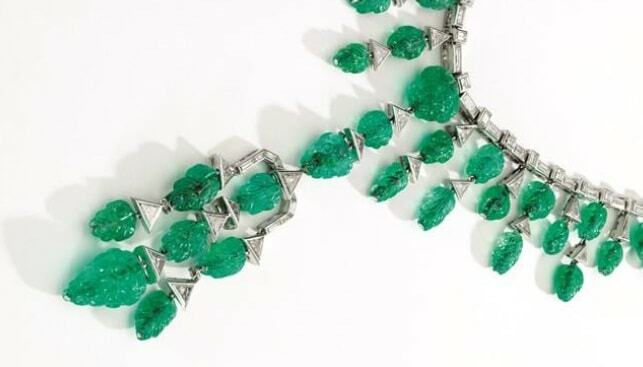 The emerald and diamond necklace, in Art Deco style, was created “probably by Van Cleef & Arpels” for Hélène Beaumont, an American socialite who settled on the French Riviera and held glorious parties during the 1920s and 1930s. It is set with 11 Colombian emeralds weighing a total of over 75 carats, and is estimated at CHF 2,895,000 – 3,980,000 ($3 – 4 million). 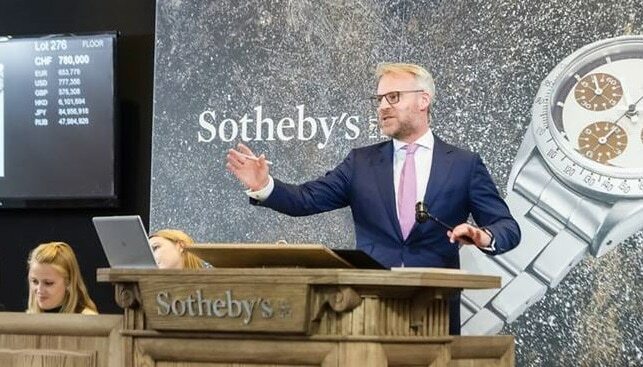 Sotheby’s Worldwide Jewellery Chairman David Bennett commented that “rare and exceptional pieces like these are the reason people collect jewellery”. The second piece was created in 1903, probably by Fabergé, for Duchess Cecilie von Mecklenburg-Schwerin (1886-1954), the last Crown Princess of Prussia, when she married Crown Prince Wilhelm. It is estimated at CHF 200,000 – 300,000 ($200,000 – 300,000).